The Learning Council is a collaborative, cross-disciplinary forum that uses research, dialogue, recommendations, action, and evaluation to improve college conditions for student learning, growth, and success. In an effort to move from theory to action, the Learning Council developed Focused Inquiry Groups (FIGS). These groups research, develop and plans implementation of new programs, strategies and polices that support the success of our students. FIGS are project-based; once the work is complete the FIG disbands. The Gavilan College Food Pantry has various hygiene bags available for Gavilan College students and infant/toddler dependents on an immediate need basis. Read about the referral process for these bags. 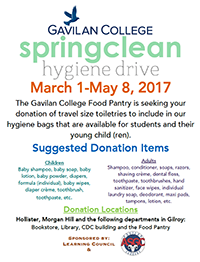 The Learning Council is working with the Associated Students of Gavilan College to collect items for the Food Pantry's "Spring Clean Hygiene Drive." The focus is on everyday toiletries--toothbrushes, deodoarant, shampoo, etc.--that many Food Pantry customers may find it difficult to purchase. Click on the flyer below for collection sites and more information. The Learning Council sponsored a gratitude event leading into Thanksgiving this year. A trio led by music instructor Dahveed Behroozi played jazz standards, and members of our Gavilan community were invited to express their gratitude on paper versions of fall leaves, which were then affixed to trees drawn by Drama Department students. Refreshments were provided, and the response was tremendous. Below is a Wordle produced from the list of gratitudes generated. 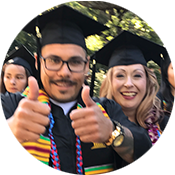 Read the list of Gratitudes expressed by Gavilan students, faculty, administration and staff. 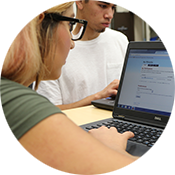 The purpose of the Communication Focused Inquiry Group is to identify and provide solutions for communication needs across all Gavilan College campuses. Our membership is comprised of faculty and staff who work conscientiously to find solutions to long-term and emerging issues. The FIG has effectively completed many of the projects that were in progress at the start of the academic year. In addition to its ongoing work, the FIG also accomplished several short-term communication related tasks that emerged as critical needs, and that should have far-reaching impacts on the college and its mission. Embedding advising, progress tracking, feedback, and support throughout a student's educational journey (Jenkins & Choo, 2014; Bailey, Jaggers, & Jenkins, 2015). The information and resource (I&R) FIG consists of one classified staff, one administrator and one student. Collectively over the last year, the I&R FIG met to develop a way for students to obtain information and increase access to community organizations. During fall 2014 term the I&R FIG collected and compiled a comprehensive list of local community agencies that serves San Benito and Santa Clara Counties. Agencies who participated include Covered California, Outreach, Dreams & Visions, Opportunity Fund, CalFresh, Foothill Community Health Center, Gilroy Library, Project Sentinel, Peninsula Family Services and the WIC program. The Homelessness FIG is new in 2017-2018. Stay tuned for a description and details of its activities. The Learning Council Meeting Schedule will be posted here following its first meeting of 2017-2018.